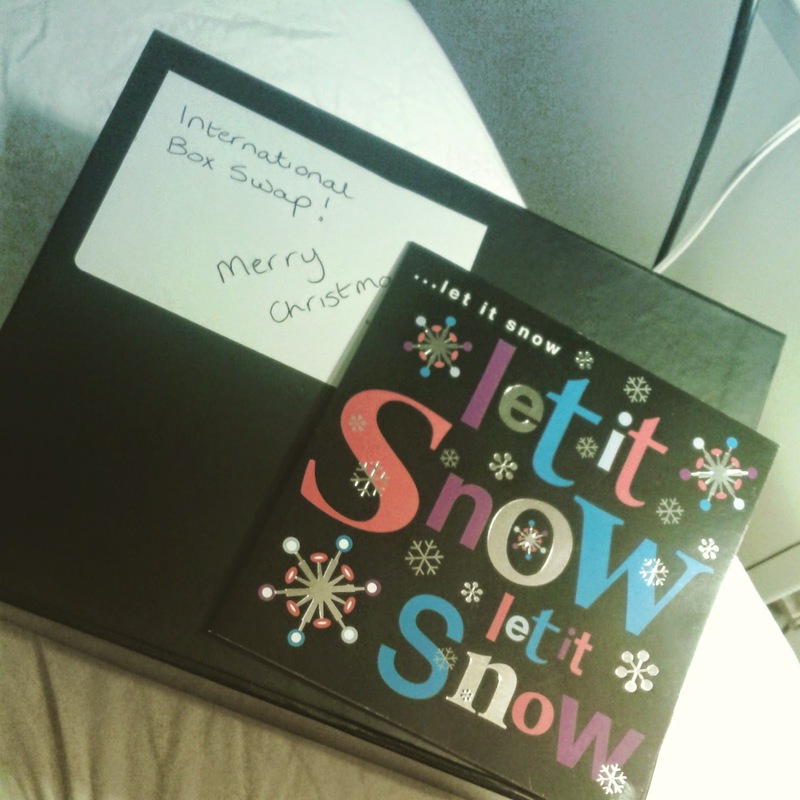 When I spotted an International Christmas Beauty Box Swap on Lucies Blog back in September I knew I wanted in. When I put my box together I tried to put in a mix of things I like and love and things that fitted the persons likes. 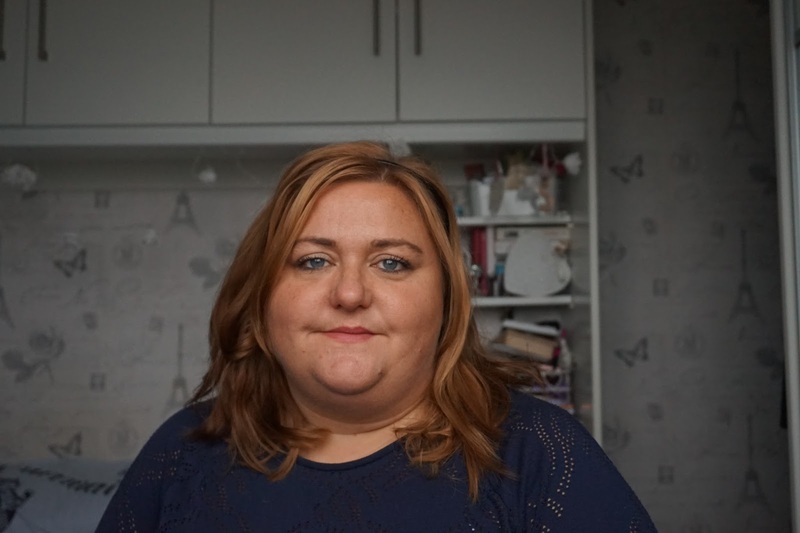 I now feel like it was a bit of a crap box and in my local TK Maxx this past week they've had loads of really cheap international type makeup. Brands I know are american and not widely available here o well known brands with unusual things. So apologies to my sendee I hope you liked your box. 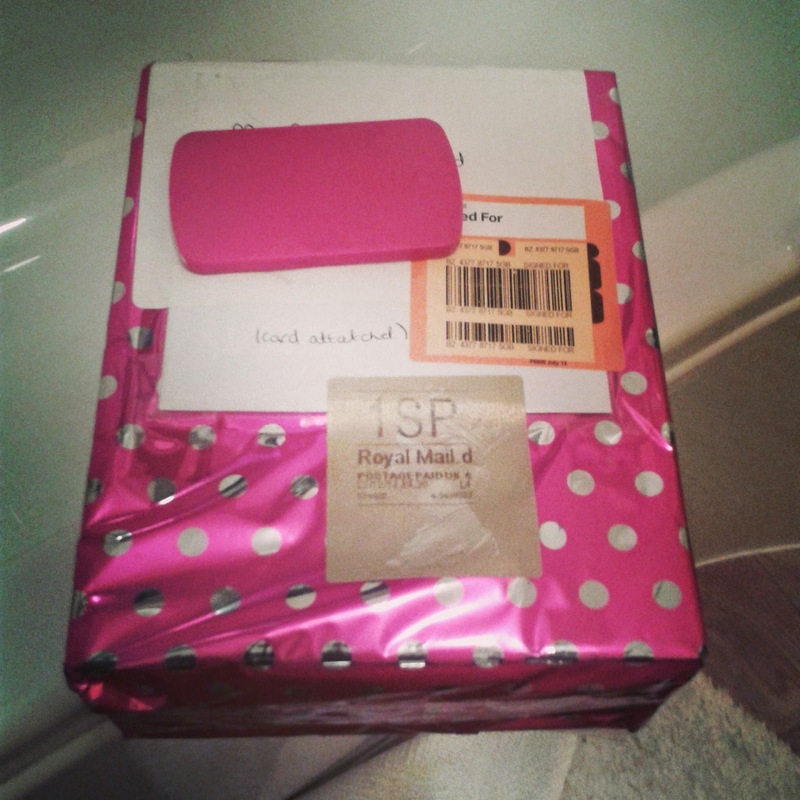 My parcel arrived on 23rd December and it was so beautifully wrapped in spotty paper. My box is amazing. It has a real mix of things and I love all of it! I really thought I'd took better photo's so apologies. Nivea Soft Rose lip balm - I love lip balm. I'll be putting this in my bag to use when I go back to work after xmas. Sally Hanson Nail Varnish pen - I had a quick go with this and I was awful. I think with a bit of patience it'll be really good. Rimmel Apocolips - I've wanted one of these for ages but could never pick a colour. Sadly I think I'm allergic to something in this. As soon as it put it on my lips started tingling and not like the lip plumping lip gloss feel then my lips started peeling. It also felt like i had pins and needles in my mouth for about 6 hours afterwards. I did try it again the day after (Glutton for punishment) and the same thing happened. This makes me so sad as I love the colour I'd been sent but at the same time I'm glad I didn't spend any money on it myself. Superdrug Hair claw clips - These are by far my favourite thing in this box and I've used at least one every day. Millie McIntosh false eyelashes - I don't really know who she is but I know she's on TV but I like the look of these and will be wearing them next time I go out. 2 Lindt chocolate bears - I have a real taste for these this year. They are adorable and very Yummy. I don't know who sent my box but I've loved taking part in this and think it's a great way to try things and find new products.